On November 13th 1974, Ronald DeFeo, Jr murdered his mother; father & 4 of his siblings in 112 Ocean Avenue, Amityville, New York. His attempts to cover it up as a mob style hit fell apart quickly thanks to inconsistencies in his story & he is was found guilty of all 6 murders. He was given 6 life sentences & remains in prison to date with little chance of release. In December 1975 the Lutz family moved into 112 Ocean Avenue having bought it at a knockdown price. George & Kathy alongside their 3 children (George was a stepfather to Kathy’s 3 kids from a previous marriage) stayed in the house for 28 days before abandoning in claiming instances of paranormal activity. 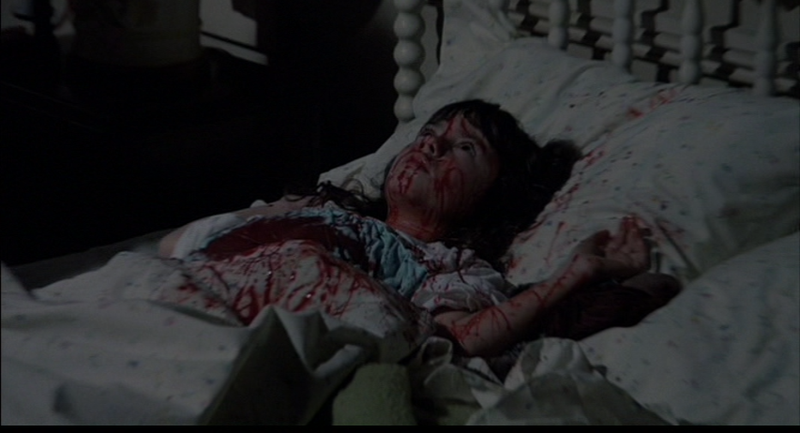 The movie was released in 1979 based off the hugely popular book released in 1977 & is considered one of the finest paranormal horror movies to ever be released. 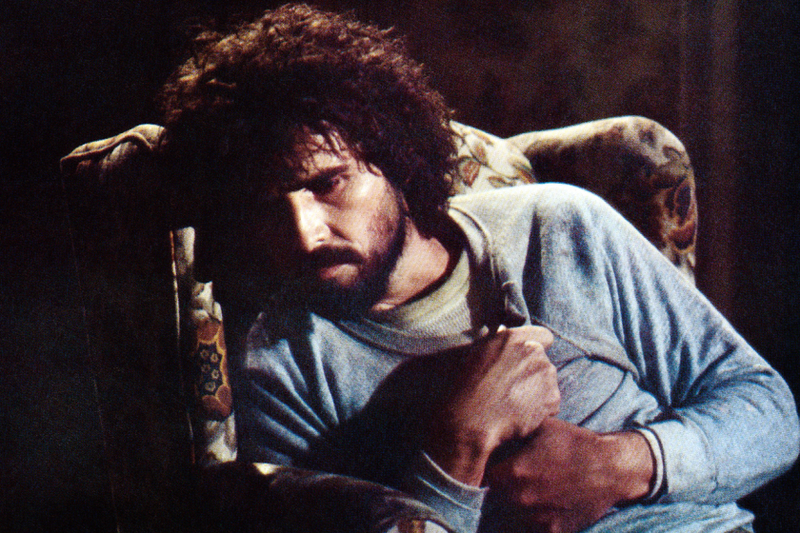 The Amityville Horror is a tense & exciting horror movie that excels in creating an uncomfortable atmosphere. 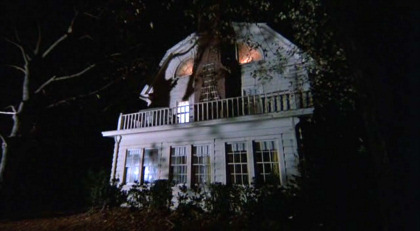 The house exterior is as famous as the stories that surround it & the opening shot of that famous window backed up by the eerie soundtrack really lets you know what you’re in for from the start. The film is well shot managing to make the house seem warm & inviting at first before appearing oppressive & unwelcoming. The paranormal events that take place within are a mix of exciting, creepy & cheesy. I’ll leave it up to you to decide which is which but I particularly liked the events that take place in the basement & the secret room. Much of the movies strength lies within the acting; both Kidder & Brolin excel in their roles with the latter being exceptionally exciting to watch. His actual resemblance to Ronald DeFeo adds some extra creepiness to his intense portrayal of a haunted man. The films pacing can feel a bit off with big events taking place early on before the movie settles down & builds slowly towards its exciting climax. I quite liked this approach though as minor research will give you all the information you need about the real events that took place within the house so there is no need to hide the paranormal events away. I would have liked much more focus on the DeFeo murders though & found the ‘built on an Indian burial ground/Satanic worshipper’ angle unnecessary, it felt shooed in as if the brutal murders weren’t enough. 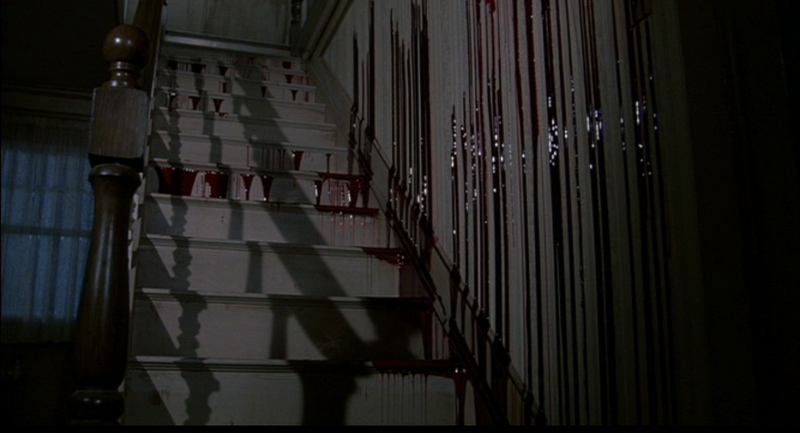 The Amityville Horror is looking its age now, rough around the edges at times but it is still incredibly enjoyable as horror paranormal movies go. This is a franchise that has 12 films released so far, a remake (that was sub-par in comparison) & a new film coming in 2016. 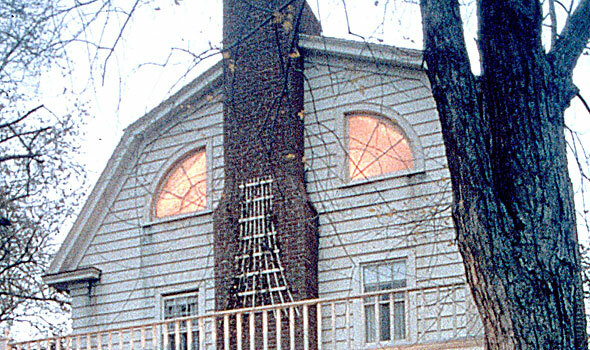 The Amityville events continues to fascinate & intrigue even if the truth of what really happen with the Lutz family may never be known.